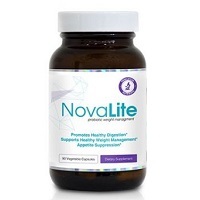 NovaLite Probiotic Weight Management is a weight loss supplement from Princeton Nutrients. 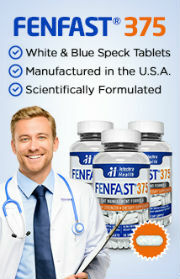 It is marketed as a “probiotic weight management” product. 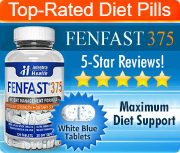 This diet pill supposedly promotes healthy digestion, healthy weight management, and appetite suppression. NovaLite combines digestive enzymes, probiotics, metabolism boosters and a mood enhancer/cravings suppressant to help you manage you weight effectively. The ingredients in Novalite Probiotic Weight Management include a Probiotic Blend (L Acidolphus, L Rhamnosus, L Plantarum), Bifidobacterium blend (B Lactis, B animalis), Digestive Enzyme Blend (Amylase, Bromelain, Lipase), Weight Management Blend (Green Tea Extract), Craving Control Blend (Slimaluma). The suggested use is to take 1 capsule with each meal (breakfast, lunch and dinner). The diet pill is supposed to help assist with digestion and help in processing food and extracting the maximum amount of nutrients that gives your body the “tools” it needs to run at peak level performance. In essence, the probiotic and digestive enzyme ingredients in this dietary supplement are believed to help the body’s immune system and improve digestion. As for the weight management and craving control ingredients, green tea and Slimaluma (Caralluma Fimbriata extract), both can be frequently found in many non-prescription diet pills. Beyond its health benefits, green tea is thought to have anti-obesity and fat burning properties due to its effects on metabolism. Some research has found that green tea combined with resistance training may lead to a reduction in body fat. As for caralluma fimbriata, it is high in fiber and is thought to have an appetite reducing effect. All that said, there is no clinical proof that taking probiotics, digestive enzymes, green tea or caralluma fibriata will help with fat reduction or weight management. More specifically, probiotics and digestive enzymes may be beneficial for some health conditions related to digestion but there is no real evidence that they are in any way beneficial to weight loss. As for green tea and caralluma fimbriata, while there has been some research that suggests they may be helpful, the quantities of these ingredients in NovaLite are minimal and are unlikely to result in any fat loss benefit that can be seen. Overall, Princeton Nutrients’ NovaLite Probiotic Weight Management doesn’t appear to be an ideal over the counter weight loss aid. While there is a 90-day money back guarantee (at least there was when this review was written), you should still consider speaking with your healthcare provider before purchasing this diet pill to make sure it’s even worth trying.